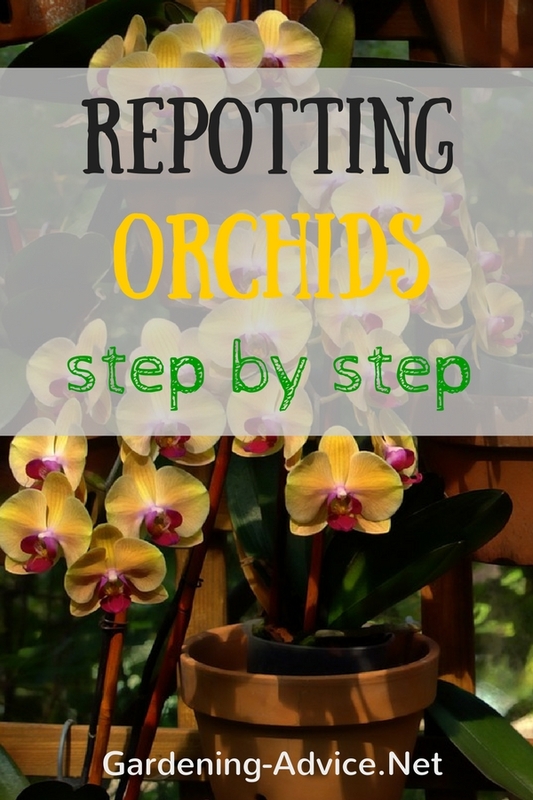 Repotting Orchids in a few easy steps. When and how to transplant orchids and all the materials needed. Every now and again your orchid plants will need repotting. It is an important part of taking care of orchids. There are a few things you have to consider. Transplanting orchids is not rocket science but it is a bit different than repotting other plants. Special care has to be taken not to damage the delicate orchid roots. When To Repot Your Orchid? Orchids don't like to be disturbed at the roots. Transplant an orchid only if it is really necessary. A reason for repotting is when the potting mix has broken down and gets too compacted. The soil starts looking grimey or starts growing algae. Another reason is rotten roots. Of course you have to repot orchids that have outgrown their pots and have no more room for new growth. 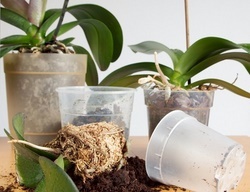 You should be repotting orchids when they start growing a set of new leaves or shoots. 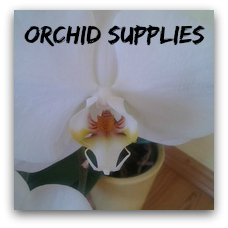 Make sure that you buy a good quality orchid potting mix that keeps its structure well. 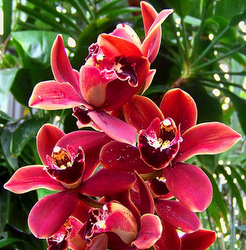 Moisten the orchid compost if it is very dried out. Water your orchids well three days before repotting. Feed healthy plants. Have some orchid pots ready. They should be clean and if necessary disinfected. 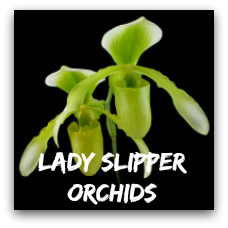 Check for pests before transplanting orchids. Treat the affected plants. Get your tools ready: you will need a sharp knife or secateurs, a sprayer, watering can and fleece to reduce evaporation. 1. Carefully remove the rootball from the pot. Try not to damage any roots in the process. You can carefully remove dead plant material, never just pull it off. Shake old compost off carefully. 2. Remove all damaged and broken pieces of root. Cut them off with a sharp knife. Take care to make a clean cut. 3. Remove damaged, rotten or dead foliage, stems or flowers. 4. If you want to split your orchid make sure to leave at least three healthy pseudobulbs together. 5. Choose an appropriate pot and fill in the potting mix around the plant. Firm well. The plant should not be rocking in the pot. 6. Water the pots only if the compost is dry. 7. Put the orchid in a shaded spot away from direct sunlight and cover with the fleece. 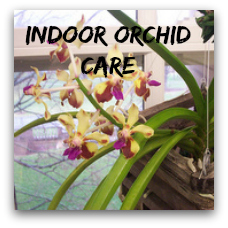 This will increase humidity levels around the plant and prevent your orchid from drying out. Spray the orchid only for the next three weeks, don't water! 8. Start watering the orchid plants again once they start growing new roots. 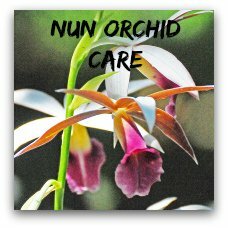 As promised: taking care of orchids is not rocket science. Enjoy your orchids! 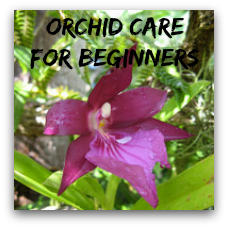 Need more orchid growing tips? More information on orchid potting mix and orchid planters.